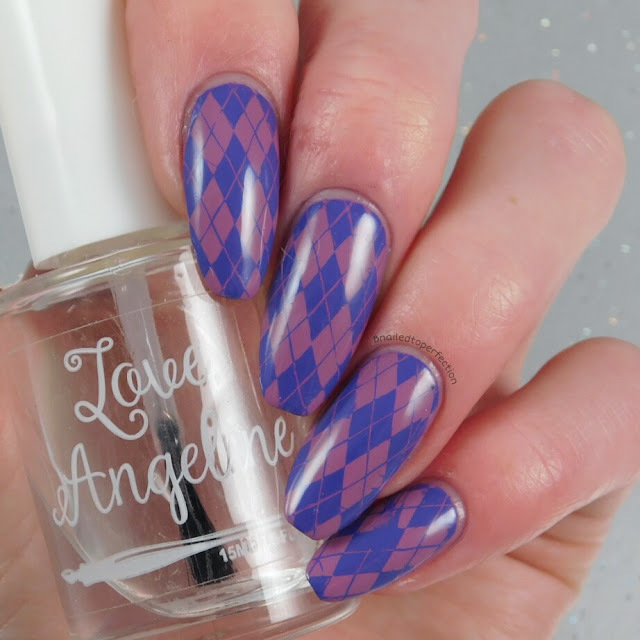 I just love tartan images so I was over the moon when Alex from Nail-Artisan sent me the Lina Dress Your Nails 01 plate to review. It's full of fabric patterns like tartan, hounds tooth, argyle and more! 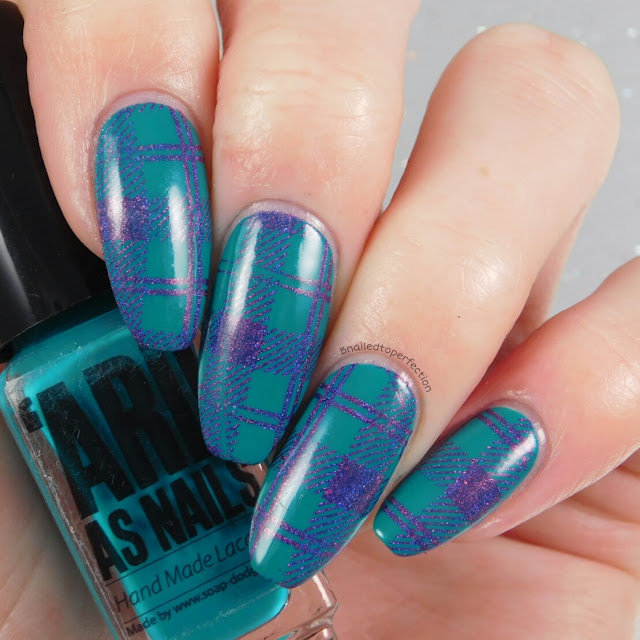 I wanted to do some simple manis with this plate just to show that you don't always have to go mad with your base colours or stamping ideas. First up is this gorgeous teal and purple combo. I really love these colours together! The base is Mitsy from 'Ard As Nails and I stamped with Orion from EDK. The image picked up brilliantly. Another great combo here with mauve and purple. The base is 9 to 5 Hustle by Polish My Life, also from Nail-Artisan and I stamped with Tuco from EDK. I did feel like this mani was missing something but I didn't know what so I left it as it was. Lina stamping plates are becoming popular very fast and I can see why! They pick up brilliantly, have wonderful images and the whole presentation with the sleeve is lovely. 26 GNAI- New Year, new me.